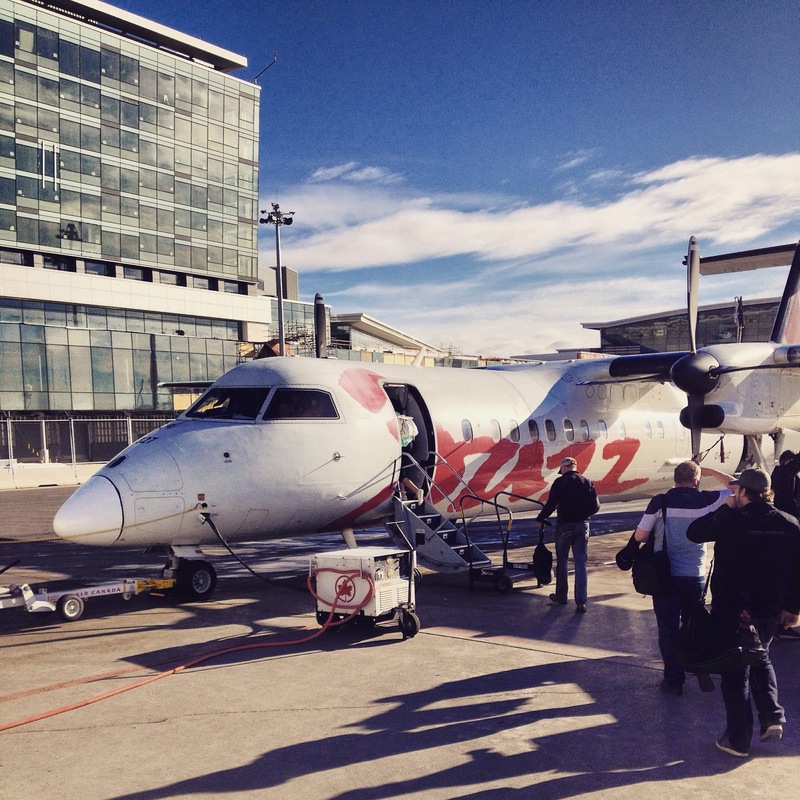 Yesterday I hopped on a little plane and flew out to Vernon, BC Canada. My parents in-law live in Vernon and I met up with my wife and kids who were already here. No longer then 30 minutes after arriving at the house my son told me to come take a look out in the back yard. To my wonderful surprise I saw this beautiful creature standing at the bird feeder having a nice little snack from him self haha. I quickly snapped a picture with my phone (insurance) and then bolted for the guest bedroom for my camera. I swapped the lens and went burnning back! Thankfully I was able to cap this shot off before he decided it was time to bounce :). Side Note: I did this post on my ipad. I edited the deer photo with the Pixelmator ipad app and edited the airplane photo with the snapseed app on my iphone. This entry was posted in Nature, Wildlife and tagged 6D, 70-200, 70-200L, 70-200mm, 70-200mm F4 IS, Air Canada, airport, Alberta, amazing, animal, app, BC, beautiful, Bokeh, British Columbia, buildings, Calgary, Canada, Canon, clouds, deer, eating, edit, food, ipad, iPhone, Jazz, love, mobile, photo, Photography, Pixelmator, plane, pretty, sky, Snapseed, Vernon, wild, wildlife, yard, yyc, zoom. Bookmark the permalink. the deer is perfect! What a great shot, for sure. photo fortune shined on you then Rob…awesome! Haha ya for sure hey! Thank you :). Reblogged this on Mtongori Juma Matiku.